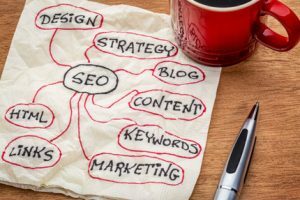 If you run a personal training gym or boot camp, you could be getting a ton more clients pretty quickly through three words: search engine optimization. With this golden age of the interwebs and the social medias, you have plenty of sources to get more leads and increase more traffic to your fitness business. One way being through written and video blogging. The secret to dominating these areas? Using keywords and key phrases. Google, folks! Google is the number one search engine that the whole world turns to when they’re looking for specific information. And, Google owns YouTube. Which means you can maximize your exposure through both blogging and video blogging. Let’s say you write up a blog post that’s about 200 – 500 words. If you’re not sprinkling in keywords and phrases throughout it, you’re not going to reach a whole lot of people. So here’s what you’re gonna do. You’re gonna go to Google and do one simple keyword search. By doing this, you’ll realize just how many options there actually are, and how much opportunity you have to reach a broad scope of people. For example, if you type into Google “Los Angeles California personal trainer”, you’ll see a whole list of options come up, and maybe even a few video thumbnails. Remember, Google owns YouTube. So when you’re adding in your keywords and phrases to your blogs and videos, you’re optimizing those pages so that they can show up when people search for that keyword. That alone is pretty cool, but you can even take it a notch further by putting “Los Angeles personal trainer” in the keyword tool. It’ll show you what other keywords or phrases people are searching for when they look up “Los Angeles personal trainer”. So, where do you find this magic keyword tool? Scroll down to the bottom of the page on Google and click on “Adwords”. From there you just create an account, and Google will let you use its keyword search tool. No requirement to run an ad campaign or set a budget. Just take one of your best keywords or phrases, like “Los Angeles fitness boot camp” or whatever your city is, and Google will show you all the keywords and phrases other people are searching which are similar to yours. Easy right? You want to make a list of the top 5, 10, 20 keywords you want to use, and start writing blog posts based around those keywords. You should be peppering those words throughout your blog post, and make sure you include them in your headline and tags. Just by doing that, you’re optimizing that particular page of your blog for that particular keyword when someone does a local search for a personal trainer in Los Angeles, or whatever city you live in. Guess what? It works the same way for YouTube. A lot of people go to YouTube when they want to look up “how to” videos on an area they’re interested in. In fact, if you take a look at my two YouTube Channels (Bedros Keuilian and Marketing Fitness 101), you’ll see a lot of my titles start with “How To”. Why? So that when people are searching for information on fitness marketing, making more money as a personal trainer, overcoming anxiety, whatever the case is, I have a video to answer their questions. Best thing you can do is get your list of keywords and phrases, and create a video based off of those words that will resonate with your demographic. You wanna use words that your audience themselves use – no one says “I want flat abs”, right? They say “I want a flat stomach”, or “tummy”. Your job is to figure out what those keywords and phrases are that your community is using when they’re searching for some sort of fat loss solution. 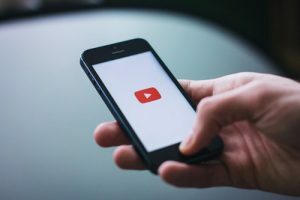 That way, you can make informative YouTube videos out of them and bring in more prospective clients. So you made your video, and now you’re ready to upload it to YouTube. Make sure you have that specific keyword or phrase in your title, description box, and tags before you publish your video. Once you hit all these steps, you now have a video that’s fully optimized by a keyword, and you have a blog post that’s fully optimized by that keyword. Over time, those blog posts and YouTube videos begin to rank higher and higher when people in your community search for a personal trainer, fitness gym, or boot camp in your city. Pretty soon, they’re gonna start clicking on your blog and YouTube channel, and from there they’re gonna click on your websites and follow you on social media. Take advantage of your face and gym being in peoples’ faces. These platforms are a way for you to not only get the word out about your boot camp or personal training business, but to connect with the people in your community on a personal level. Show people who you are, what your values are, and how you want to help them. People buy from people they know, love, and trust. If you have low quality content, or you’re not engaging with the people who comment and like your posts, they’re gonna move on to the next guy who shows he gives a damn about his fitness business! You’re opening up a channel of communication so that they can contact you and become potential leads, prospects, and eventually paying clients.